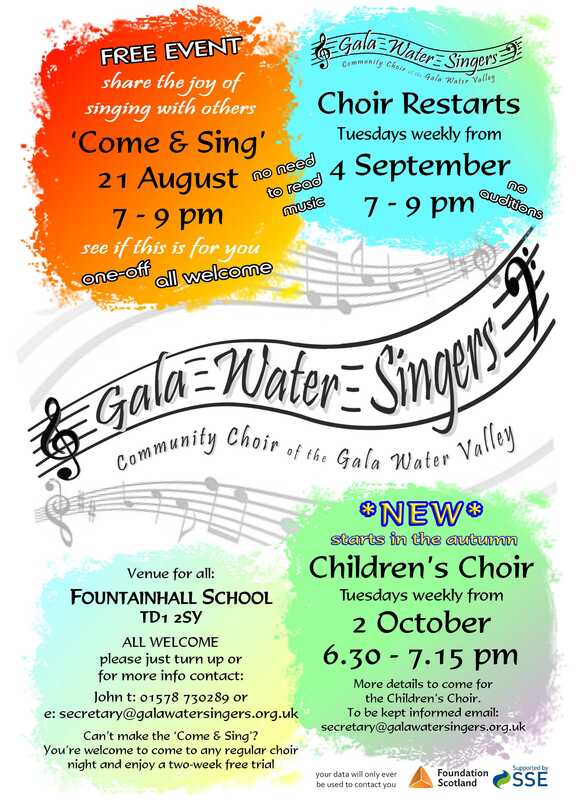 The Community Choir of the Gala Water Valley opens the 2018-19 season with a ‘Come & Sing’ on 21 August 7-9pm – a free, open event for everyone to enjoy. Followed by the choir restarting weekly Tuesday rehearsals from 4 September 7-9pm, and 2 October sees the start of an exciting new venture – a Children’s Choir on Tuesdays 6.30-7.15pm. All at Fountainhall School – see individual events on this site for more information.